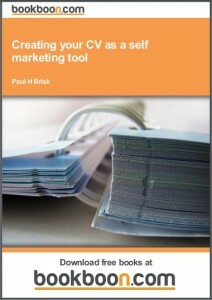 Paul Brisk, the author of “Creating your CV as a self marketing tool” and “Essential Job Searching Tools”, is celebrating great success thanks to Bookboon, as since these books were launched in January and June 2012 respectively there have been 423,000 downloads for his first book and 180,000 for his second publication, totalling a staggering 603,000!! Paul’s books have had some very interesting spin offs, which have included securing work outside the UK, where CVs have been written by maximising Skype to talk to clients, building a face to face relationship and understanding their individual needs. In addition he also had the opportunity to write for our German Associate Company Access. As you can imagine, Paul is over the moon with the success he has achieved and both Bookboon and Paul thought that this success story should be shared with all of our readers. 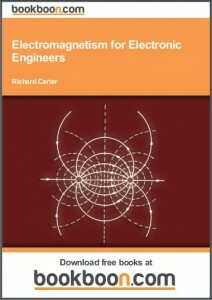 Professor Carter has published the books “Electromagnetism for Electronic Engineers” and “Worked Examples In Electromagnetism” with bookboon.com. Dr. Marco Mongiello is the Director of the MSc Management programme and MSc Innovation and Entrepreneurship at Imperial College Business School, which he joined in September 2007. He holds a BA degree with honours in Business Administration from Ca’ Foscari University in Venice (Italy – 1993) and a PhD in Accounting also from Ca’ Foscari (1998). In the meantime he became Chartered Accountant (1995) and subsequently Certified Auditor (1999) in Italy (ACA in the UK since 2009). He then obtained the Certificate in Teaching and Learning in Higher Education (2001) in Oxford and became Fellow of the UK Higher Education Academy (2007). Prior to joining Imperial College, Marco has taught and researched accounting for more than ten years, mostly in the UK at Oxford Brookes University and University of Westminster. He has also been external examiner in various UK universities and a professional body for almost a decade. 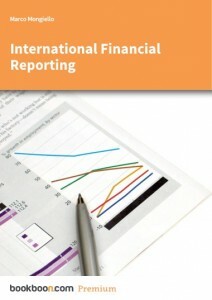 Marco internationally published articles, presented papers and led and contributed to editorial tasks in accounting. Marco’s Accounting and Corporate Reporting Analysis course for the MSc Management is ranked top in the UK by the Financial Times. His teaching interests lie in managerial and financial accounting both for specialised and non-specialised academic curricula and for the corporate market and collaborates with Accenture and the London School of Economics in the production of learning material in Financial and Managerial Accounting. Marco is the Editor of the RSM International Reporting Newsletter, a technical update newsletter on International Financial Accounting and Reporting issues. Carole Spiers is a leading Authority on Corporate Stress. Motivational Speaker, BBC Guest-Broadcaster & Best-Selling Author ‘Achieving sustainable success by adopting a healthy corporate culture’ has been Carole Spiers’ mission for the past 20 years. She provides the cutting-edge of expertise in this vital field and brings together individual empowerment and executive management to improve performance and increase profit. This gives her unique credibility as an authority on personal empowerment and as a BBC Guest-Broadcaster and best-selling author on stress-related subjects. Carole is frequently contacted by the international media for professional comment and is a sought-after Keynote Motivational Speaker for international conferences and seminar platforms. She is also an Expert Witness before the UK Courts. Carole Spiers has written the books “Cool It! 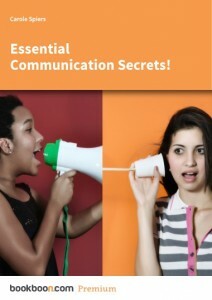 – Anger Management & Conflict Resolution” and “Essential Communication Secrets!” for bookboon.com.